Glenfiddich Snow Phoenix: the perfect storm of happenstance, marketing, packaging, and an amazing story. In a sense, it was a literal perfect storm. 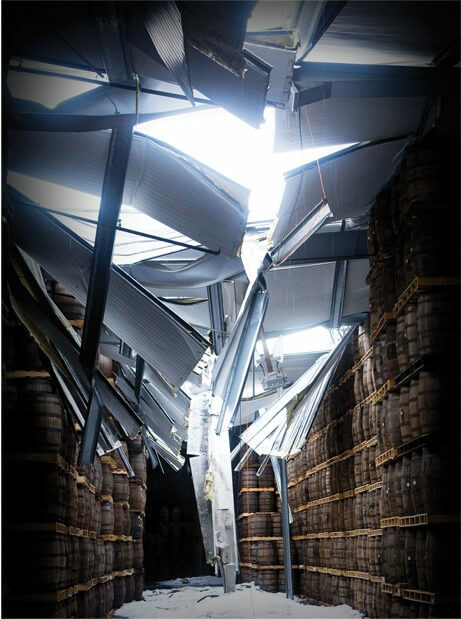 If you don’t know the story, a blizzard in the winter of 2010 caused a Glenfiddich warehouse roof to collapse, exposing the whisky inside to the harsh elements of the cold. Employees worked around the clock to clear the warehouse and save the whisky inside. Glenfiddich Malt Master Brian Kinsman decided to take those barrels and vat them all together to create a one-time release born purely out of chance. A photographer took a picture of the collapsed roof and noticed that it looked a bit like a bird. This was the inspiration for the name and is reflected on the box. I usually don’t care about packaging, but Glenfiddich Snow Phoenix is without a doubt my favorite whisky packaging of all time. The whisky that went into this release ranged anywhere from 13 to 30 years old though the bottle carries no official age statement. 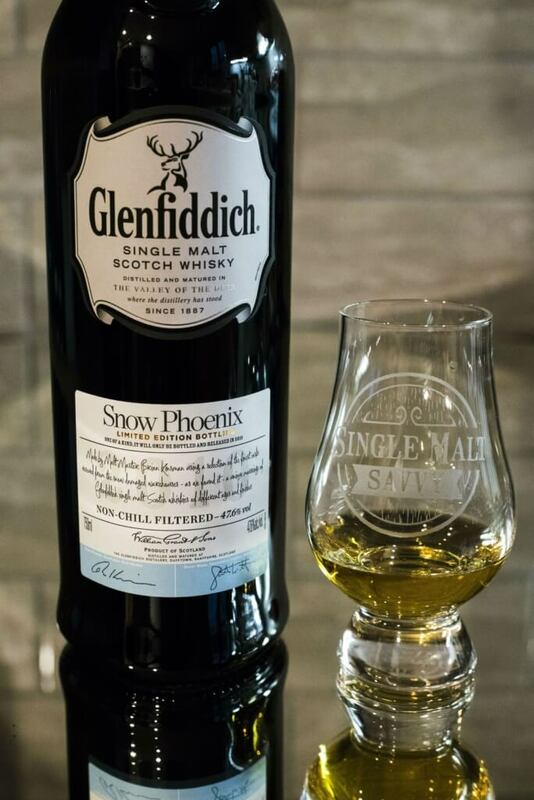 Bottled at 47.6% ABV and without chill filtration, Snow Phoenix is an unusually raw and unaltered Glenfiddich. Everything about this whisky indicated little to no sherry casks, but who knows? It’s possible a stray cask or two found its way into this warehouse before it collapsed. Nose This is a 'fiddich nose if I've ever smelled one. Apples, pears, cinnamon, pencil shavings, heather, honeydew melon, all with that classic tart layer of citrus (orange and lemon peel) on top. Helloooo, Speyside! Some powdered sugar and banana emerges after a while as well as tropical fruit influence. Taste A vanilla-infused fruit salad, plenty of nutmeg and clove, just a touch of white pepper, subtle oak adds some depth, a layer of tropical coconut and starfruit is under all that if you dig deeper. Finish Bigger oak on the finish, lots of pears and melon, nutmeg is back, a hint of earthiness here is a nice transition from the palate. Some Smarties candies adds sweetness as well. Good length. After several seconds, it's just stewed pears and oak. That's Glenfiddich for ya. Overall Thoughts Even if you strip away the story, the hype, and the limited edition status, this is a great pour. I paid $89 each for a few of these at release and it's worth every penny. Glenfiddich has the means to produce some amazing stuff if they would stop overprocessing and watering down their releases. I want more stuff like this!